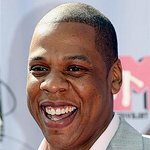 International advocacy organisation Global Citizen today announced that Beyonce, JAY-Z, Cassper Nyovest, D’banj, Ed Sheeran, Eddie Vedder, Femi Kuti, Pharrell Williams and Chris Martin, Sho Madjozi, Tiwa Savage, Usher, and Wizkid will headline the first Global Citizen Festival to be held in Africa, a free-ticketed event on Sunday, 2 December 2018 at the FNB Stadium, Johannesburg. Hosts of the Global Citizen Festival: Mandela 100 include Naomi Campbell, Sir Bob Geldof, Gayle King, Bonang Matheba, Tyler Perry, and Forest Whitaker. “Nelson Mandela believed in people’s potential for goodness, and inner potential to change things for the better, for each other and for ourselves he believed that poverty and injustice were man made problems, that we could solve together. One hundred years on from his birthday, this year’s roving Global Citizen Festival will be held in his honour – in Johannesburg on December 2nd. It has been such a pleasure to put together, and all of the artists have been amazing to work with, perhaps because this is a chance for us to show that we all believe in the same things he did: love, acceptance and forgiveness,” said Chris Martin, Global Citizen Festival curator. “The future of the world lies in the hands of young people. Over half the world is under the age of 25. We must inspire and support them to be the generation to end extreme poverty. Nelson Mandela believed that poverty is man-made and must be overcome by human action. That’s why I’m delighted to support the Global Citizen Festival: Mandela 100, to call on young people and world leaders to take action for a brighter future for everyone,” said Ban Ki-moon, former United Nations Secretary-General. 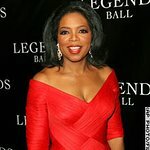 A number of world leaders will address the Global Citizen Festival: Mandela 100, including South African President Cyril Ramaphosa, Amina J. Mohammed, Deputy Secretary-General of the United Nations, Prime Minister Erna Solberg of Norway and President Nana Akufo-Addo of Ghana, who both serve as co-chairs of the UN Secretary General’s Advocacy Group for the Sustainable Development Goals, President Mokgweetsi Masisi of Botswana, Dr. Tedros Adhanom Ghebreyesus, Director-General of the World Health Organization, Alexander De Croo, Deputy Prime Minister of Belgium, Gilbert F. Houngbo, President of the UN International Fund for Agricultural Development, David Beasley, Executive Director of the World Food Programme, Ambassador Ertharin Cousin, Board Director of The Power of Nutrition, and Peter Sands, Executive Director of the The Global Fund to Fight AIDS, Tuberculosis and Malaria. The Global Citizen Festival: Mandela 100 will be presented by Major Partner The Motsepe Foundation, with major partners, Johnson & Johnson, Cisco, Nedbank, Vodacom, Big Concerts, House of Mandela, Bill & Melinda Gates Foundation Goalkeepers, Eldridge Industries, and Associate Partner, HP.